Diabetes remains the costliest traditional therapy class for payers for the fifth consecutive year. Plans spent an average of $77.60 per member, per year on diabetes medications in 2015, a 14% increase over 2014, driven equally by increases in use and cost of medications in the class. And, with 27.8% of adults with diabetes currently undiagnosed, and a rich pipeline of new therapies, diabetes will remain a major contributor to drug spending in the years to come. As researchers and clinicians conclude the American Diabetes Association’s 76th Annual Scientific Session this week, here are five things for employers to know about diabetes use and spending trends in the U.S. 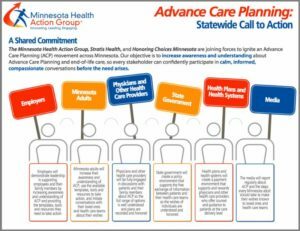 The Minnesota Department of Health (MDH) is contracting with The Action Group to engage employers and insurers in four funded communities to make the National Diabetes Prevention Program (NDPP) a covered benefit for employees. Find our Fact Sheet, FAQs, and Glossary of Terms, along with information about Minnesota diabetes initiatives here. Whether or not you can attend, we appreciate your participation in this brief survey! Please join us on June 22 as special guest, Brynn Rubinstein, senior manager for transforming maternity care at the Pacific Business Group on Health, shares recommendations for promoting high-value maternity care. We will also hear from local thought leaders. So we can better understand the experiences of our members, please click here to take a brief pre-meeting pulse survey. Click here to learn more or to register. The Minnesota Bridges to Excellence (MNBTE) program advances care delivery and outcomes by rewarding clinics for meeting or exceeding a strict set of care standards for patients with diabetes, depression and vascular disease. Each year, we gather to reward those clinics providing exceptional patient care. To learn more about MNBTE, click here. Details about the July 27 Recognition Reception from 5:30 p.m.-7 p.m. will be posted soon! The Action Group’s Specialty Pharmacy Action Network members have been hard at work for more than a year identifying the issues surrounding the high cost of specialty drugs, developing possible solutions, and learning what actions need to be taken to reshape the marketplace. On August 11, 2016, we will be bringing together all interested stakeholders to share perspectives, knowledge and ideas about this important topic affecting the U.S. economy, public and private purchasers, individuals with chronic and serious conditions, and all taxpayers. You do not need to be a member of The Action Group or the Specialty Pharmacy Action Network to attend. Details will follow, but you may RSVP now to Sue Jesseman at sjesseman@mnhealthactiongroup.org. This Sunday Star Tribune article explores why less than one-third of emergency room doctors in the U.S. feel confident that they are able to find patient advance care directives in electronic medical records.